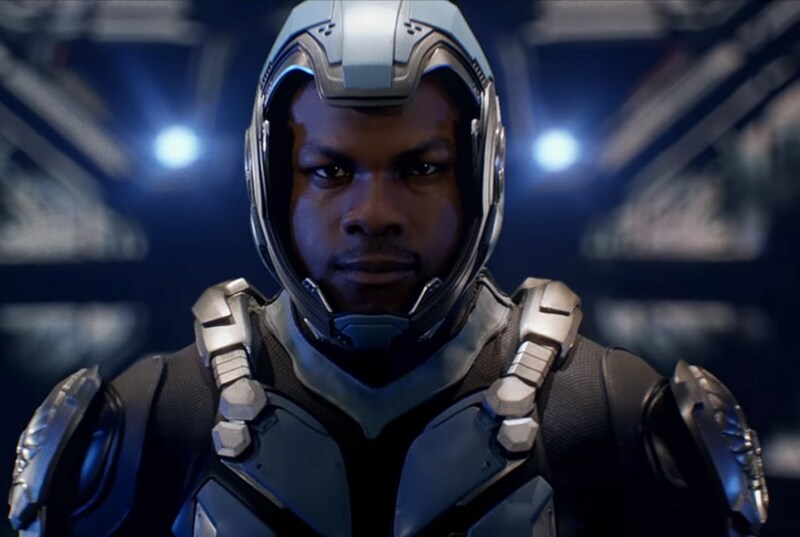 This is the official second trailer for Pacific Rim: Uprising. The sequel to Pacific Rim was directed by Steven S. DeKnight, and stars John Boyega, Rinko Kikuchi, Charlie Day, Burn Gorman, Scott Eastwood, Cailee Spaeny, Jing Tian, Levi Meaden, and Adria Arjona. Boyaga plays Jake Pentecost, the son Stacker Pentecost. It is scheduled to be released on March 23, 2018. Check out the synopsis and trailer below. "It’s been ten years since The Battle of the Breach and the oceans are still, but restless. Vindicated by the victory at the Breach, the Jaeger program has evolved into the most powerful global defense force in human history. The PPDC now calls upon the best and brightest to rise up and become the next generation of heroes."